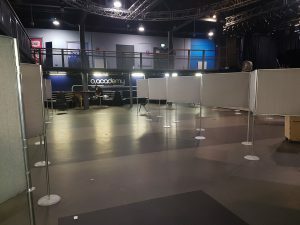 We were delighted to help our customer Leicester University with this particular exhibition, where the set up venue had to be changed at short notice to the O2 Academy. We fully understand that changes to circumstances happen all the time, which is why our regular customers love to rely on our friendly service. And similarly, we want our customers to be happy – they usually have enough to worry about when organising large events, which is why we do our best to help, and our friendly staff work to the customer’s requirements. We were pleased to receive positive feedback on site from our happy customers at Leicester University last week, who were not only happy with our customer service, but also with the quality of our hire system, which we believe gave them a far superior experience to the previous year from another company. Even though we are based in Scotland, we usually compete in price with large-scale hires throughout the UK, as we charge far less for our hire system, despite its superior quality. This is why we are growing more and more popular as a superior panel hire company in the UK for universities and the NHS, as well as small businesses, architects, colleges and schools. 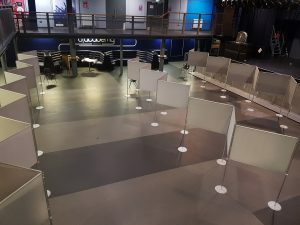 Copyright © 2019 Poster Board Hire – Exhibition Services – Graphic Display Systems. Powered by WordPress. Theme: Spacious by ThemeGrill.